Our Amish Geneva TV Stand is a compact beauty with a clean design and plenty of open shelving for your media equipment, DVDs, and decor. 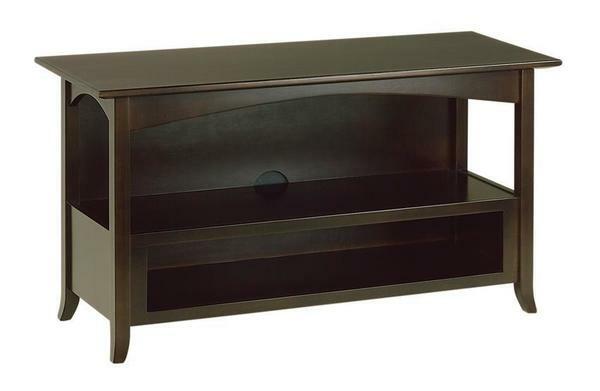 This solid wood Shaker-style TV stand includes a 1-inch thick top with reversed beveled edges, arching aprons, open shelf body with cord hole, and open shelf at the base for displaying movies and/or decor. Splayed feet complete the heirloom-quality construction. Shown in brown maple, this TV stand can be made in your choice of wood type and finish.